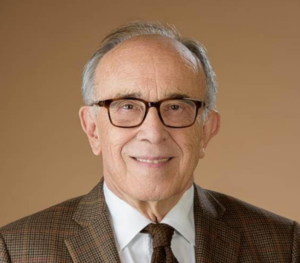 The Academy of Special Dreams Foundation congratulates Fernando de Necochea for his many years of leadership in the greater Los Angeles community and his lifetime dedication to higher education, public and community service that has shaped a more inclusive and democratic society. On behalf of the Board of Directors and our Artists in Residence, we offer our sincere appreciation for your demonstrated commitment to the full inclusion and integration of underserved communities, including the special needs community, in mainstream America. Fernando recently retired as a senior member of Southern California Edison’s strategic engagement group, responsible for the utility company’s relationship to Latino leaders and Latino organizations in the region and state and nationwide and advisor on philanthropy to low-income and underserved communities. He remains active in the nonprofit sector, chairing the AltaMed Health Services board of directors and serving on the boards of CARECEN, the Mexican American Opportunity Foundation, and Parent Institute for Quality Education. Prior to working in public affairs at Southern California Edison, he had a long career in higher education: as advisor to the president and assistant provost at Stanford University, director of financial aid and advisor to the vice provost at Brown, co-founder of the multi-component Chicano studies program at the University of California, Santa Barbara where he headed the research center and community service program, and lead organizer of El Plan de Santa Barbara conference. Fernando currently serves on the board of visitors of the Nelson A. Rockefeller Center for Public Policy and the Social Sciences at Dartmouth College, in addition to serving as chair of the UC Berkeley Statewide Puente advisory board, and on the corporate advisory board of the USC Latino Alumni Association. Born and raised in the border city of Calexico, California–a 7th generation Mexican Californian on both sides of the border with Mexico–Fernando was the first in his family to attend college. He graduated from Dartmouth as a Rufus Choate Scholar, the highest academic rank; studied abroad in Spain and Peru, and completed graduate studies at the University of California, Los Angeles. To purchase tickets please follow the link.